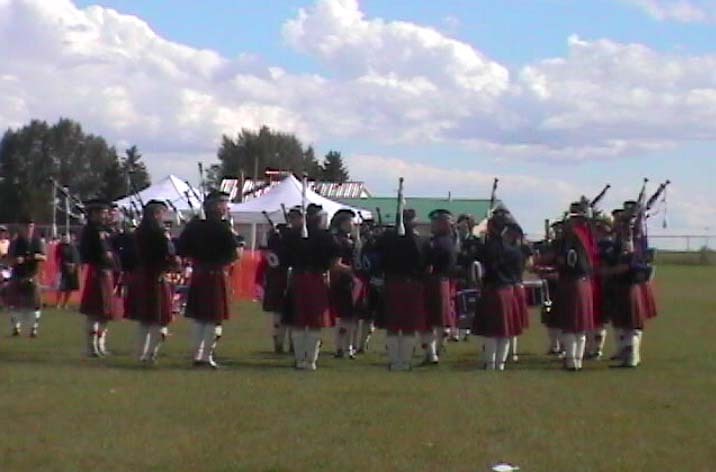 We were at the Scottish Highland Games in High River, Alberta on Saturday, August 28th (last year). 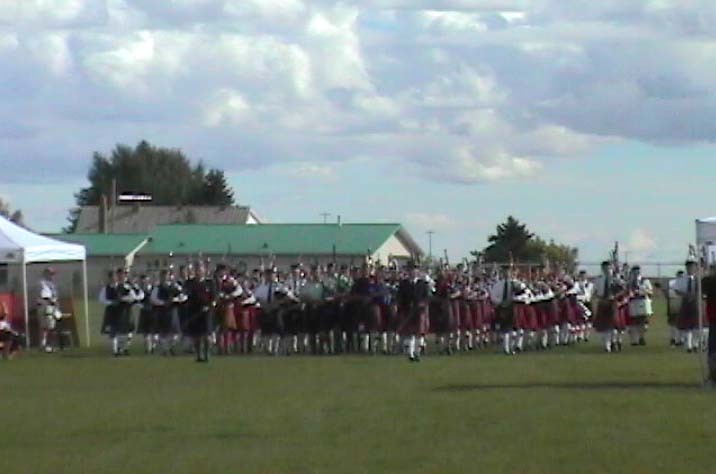 They hold their Highland Games every year on the last Saturday of August, so it's easy to remember when they're held. You'll find that a lot of Communities do this, so if you've missed one in your own area, check to see when it was on, and see if it's on again the following year at the same time. This was Aidan's first Highland Games -- we've always been away on Vacation, or we're Building a House -- something little like that that keeps us away! ha,ha! I think the last one he was technically at was in Calgary about 2 days before I had Aidan, and I was waddling around the Games! 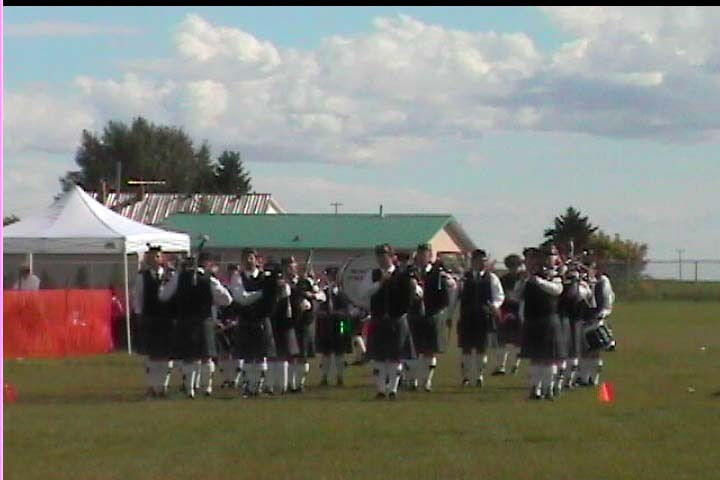 So Aidan was 'break-dancing' to the Pipe Band Music! Poor Aidan -- that's the only kind of dancing he knows, so it was pretty funny. Wonder if we've done him a real disservice not teaching him how to do any Scottish Dances! I spent soooo many years trying to remember all the steps to The Scottish Highland Fling and the Sword Dance (and only retained a portion of that information! ), that it has never crossed my mind to show Aidan or Cara how to do those dances... I think I showed Cara once or twice, then started laughing and moved onto something else! Anyway, Aidan was telling us that he really really loves this Scottish Music, so that was lucky! I like to listen to some Pipe & Drum Music from time to time in my Sunroom (typically all alone! ha,ha! ), so now he'll have a better handle on why I love it so much! 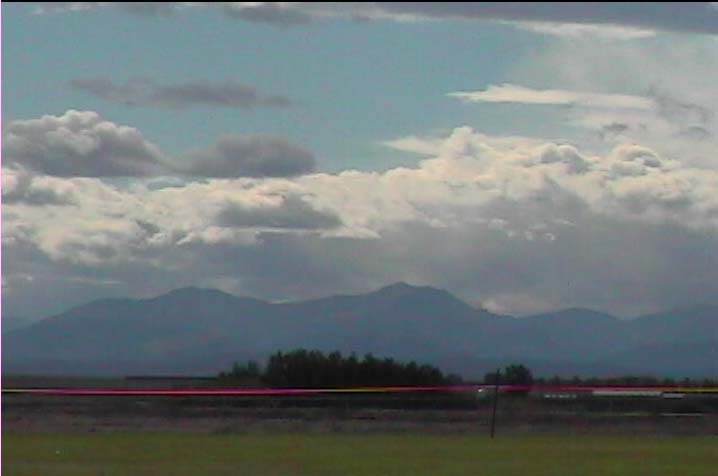 This is the Setting in High River for the Highland Games -- gorgeous, eh? It's a beautiful little town -- and it's where we get our Town Water from, so we are particularly grateful to them! (Town Water on an Acreage is very difficult to come by!). 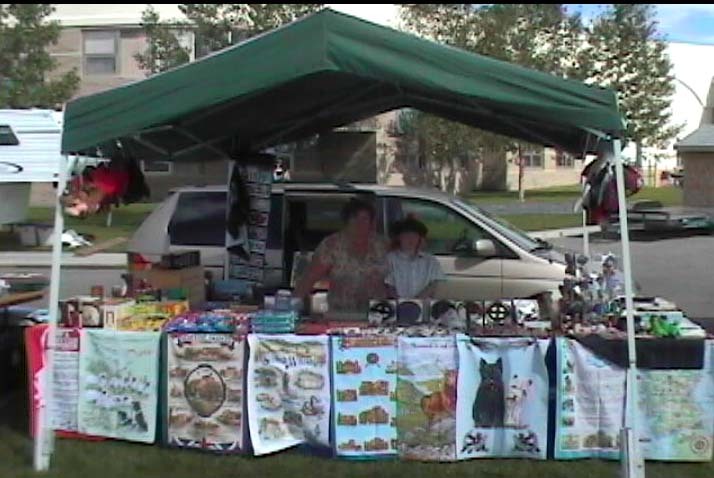 See the Booth in the Center? 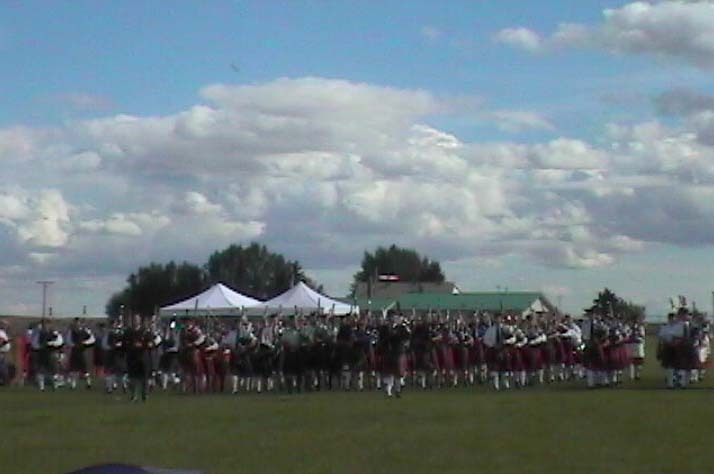 You can always find 'All Things Scottish' at any Highland Games. I got a whole lot of my favorite Scottish Sweeties, and a beautiful Celtic Cross Necklace for Cara. Dwight and Aidan were mostly interested in Foods of various sorts...! Here are some great shots of The Mass Bands -- when all the Bands play together. It's fantastic! 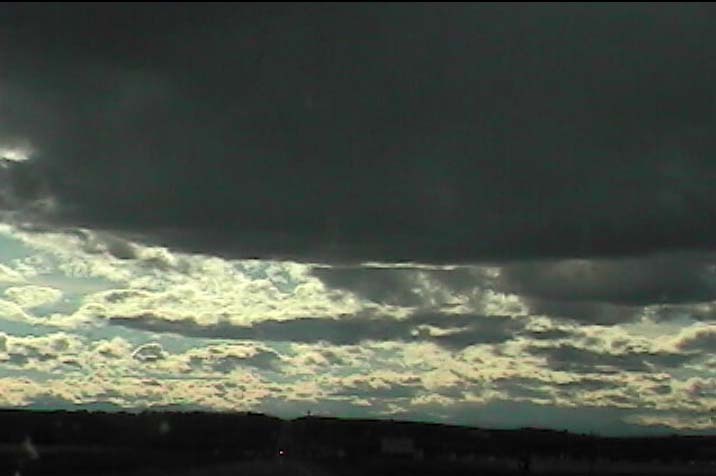 And those are the lovely clouds that made us wonder whether the Games would still go on! Rain Schmain, for all the Scottish People who are completely used to plenty of that! ha,ha,ha! 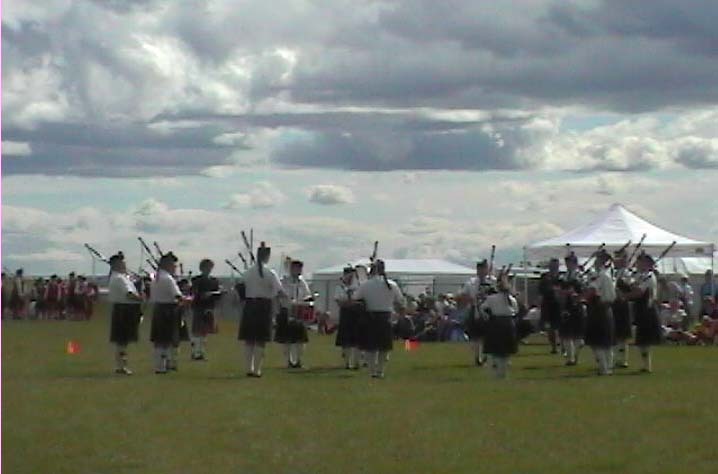 Hope you enjoyed some nice Pictures of the Scottish Highland Games! Thanks for popping in for a wee visit! Lang May Yer Lum Reek! Ailsa! Here are some Easy Links for you to follow for More Scottish Stuff!